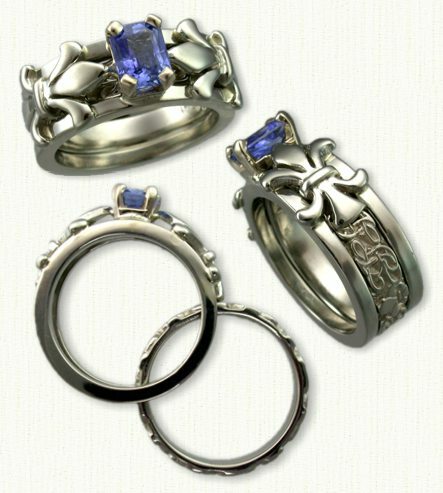 Shown: Custom 14kt white gold Fleur-de-lis Reverse Cradle set with an emerald cut Blue Sapphire. The inside band measures 3mm and has a Custom Initial pattern. 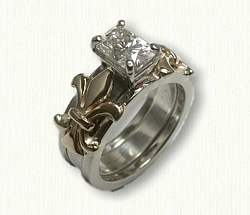 Visit our matching Fleur-de-lis Wedding Bands page for other ideas.